We are manufacturer & exporter ofTriacontanol 1% EW, a well known compound used for enhancing the process of photosynthesis. 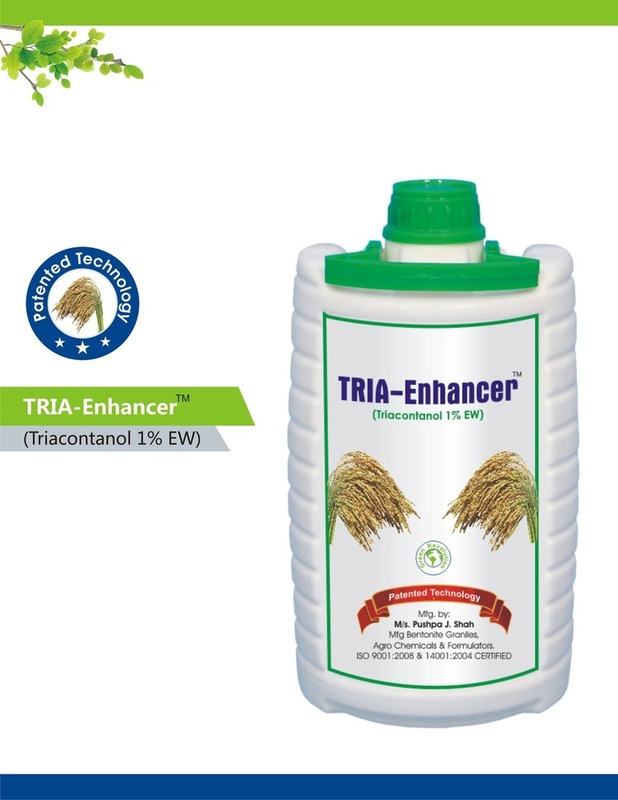 Triacontanol 1% EW is a concentrated water based formulation which can be further diluted to get desired water based solution ready for application. The uniqueness of this formulation lies in intelligent & scientific way of formulating the active ingredient. Triacontanol in colloidal suspension of very fine practices which can be absorbed through stomata very quickly without any interference of the carrier material. It is a totally non-toxic, plant growth bio-regulator without any residual effect. Organic Certification : The Product is certified as per NPOP standards. 1. Increases the rate of photosynthesis. 2. Activates secondary messengers leading to enhanced enzymatic andhormonal activities in plants that can increase the brix level in fruit. 3. Activates cell division leading to production of larger root and shoot mass. 4. Influence mineral uptake from soil. 6. Enhances synthesis of proteins- Promotes flower buds, profuse tillering and branching. 10. It reduces the adverse effect of salt stress on growth, yield and leaf water relation.